Summer time is the perfect time for us to teach our kids & grandkids to sew! We all have our memories of when we first learned to sew and now it is time to pass that gift along. 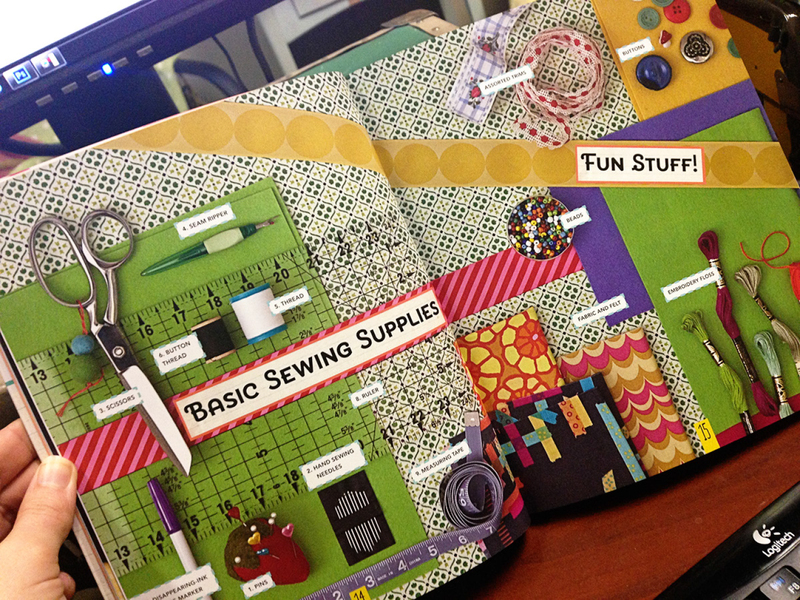 I ran across several wonderful books that make sewing fun and exciting. ‘We Love to Sew’ turned out to be my favorite with TONS of adorable projects. This book is filled with great tips, tutorials and ideas to inspire our kiddos. It includes everything from Clothing to Accessories and even Decor, and of course… a QUILT! with 4th of July right around the corner! And wouldn’t it be darling in the new Happy Go Lucky line by Bonnie & Camille?! This book includes a great list of basic supplies to get started! 2. Scissors- Don’t forget! One pair for fabric & one pair for paper! – We love Karen Kay Buckley’s scissors with their serrated edges & protective cover. 3. Needle Threader- The Sewline needle threader has an adorable lipstick styled design which your kids will love! 3. Rotary Cutter- Safety is FIRST importance when teaching your kids to use the rotary cutter which is why we prefer Olfa’s Self-retracting blade cutter. Squeeze to engage blade and cut and then release to hide the blade and protect yourself! 4. Ruler Buddy– This is a new one but it’s great! It sticks to your ruler and provides a guard to protect you from accidentally cutting your finger. 4. Disappearing Ink Fabric Pen – Sewline’s Air Erasable Roller Ball Pen is awesome for marking things like stitching lines on fabric. 5. Measuring Tape – Little sewers will need these to measure waistline’s for skirts/clothing or projects that don’t lie flat. Dritz Quilter’s Tape Measure’s are great because they come in fun colors! 6. Moda Precuts are GREAT for the learning sewer because they are so easy and fast! What are some staple items you would include when teaching your kids/grandkids to sew? 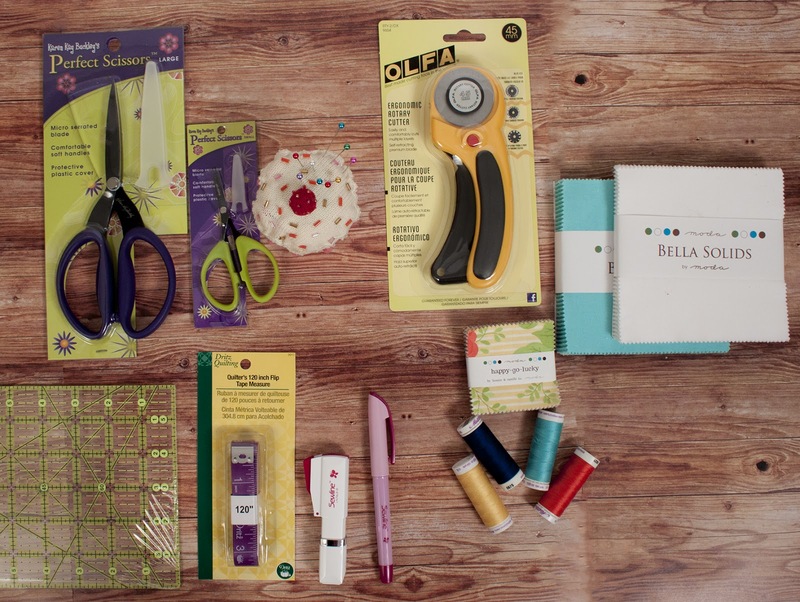 What are some of your favorite memories of learning to sew? Well I have all grandsons – but they like to participate too. Although they are too young for scissors and pins and needles, they like to sort colors and count out squares or just play with the colorful scraps and buttons to make pictures on the floor. I first sewed on a little (toy sized), hand crank Singer sewing machine. Oh, the Barbie clothes I used to make! That was my introduction to sewing and I’ve loved it ever since! I use a little wooden foot stool to put the foot pedal on so my grand daughters can reach it. They automatically grab it when it is time to sew. I think I would have them use the magnetic pin holder–fun to use for kids and no spilled pins! You can’t live without a seam ripper! I like the “Seam Fix” one because it’s great at “erasing” the threads when you’re done. I would definitely include Clover clips to help their little fingers hold pieces of fabric together. My only memory of sewing is laying my feet on the treadle while someone, not sure who it was, sewed something down. I learned how to sew in Home Economics class in High School. But I didn’t start quilting until I was age 46.